SQL is Abbreviation of “Structured Query Language” which is a programming language designed for storing, retrieving manipulating data in Relational Data base. SQL is an ANSI (American National Standards Institute) standard. In 1970 Dr. E. F. Codd published a paper in which he described the model of Relational Database; the name of published paper was -A Relational Model of Data for Large Shared Data Banks. In the year 1978 IBM developed database system named System/R which was first Database system based on Codd’s relational database model. 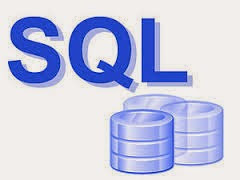 SQL concept was initially developed by Donald D.Chamberlin and F.Boyce in early 1970s at IBM Laboratory (International Business Machine).Earlier this language known as SEQUEL (Structured English Query Language).Later SEQUEL was changed in SQL. In this year Relational Software Incorporation now days known as Oracle also worked on this powerful concept of relational database and released first Relational Database Management System named Oracle. Oracle was first database system which was used for commercial purpose. In 1970 Dr. E. F. Codd designed and developed relational database model. In 1978 IBM Developed System /R database system. In 1979 Relational Software Inc. developed a Database Management System named Oracle. In 1982 SQL/Data System (SQL/DS) was released by IBM which was first relational database system of IBM. In 1987 Microsoft released SQL Server.